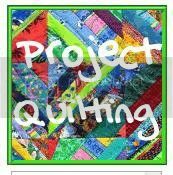 One of the fantastic sponsors for this season of Project Quilting is The Fat Quarter Shop. 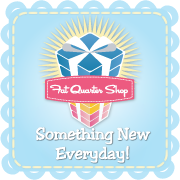 Many of you are already familiar and have shopped online at the The Fat Quarter Shop but if you haven’t you better check it out ASAP! It’s fantastic! Today I’m going to share with you a short little interview with Kimberly Jolly the owner of The Fat Quarter Shop. I started out crocheting when I was five and learned to cross stitch as I got older. 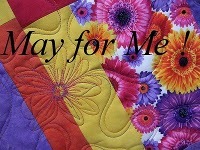 I was introduced to quilting in my early 20s. I’m a very creative person with millions of ideas bouncing around in my head, so my designs flow out of that. 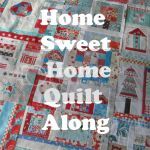 I took a quilting class and was immediately hooked. 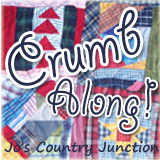 Back then, I felt that there was a great need for a quilting store that had a wide selection and and attentive service, and Fat Quarter Shop was born. 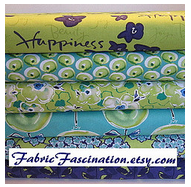 Soon after, I started to feel the need to design great patterns. Which part of the creating process does you like the most? Cutting! Which part of the creating process do you dislike the most? 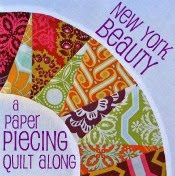 I don’t like quilting the tops or putting on the binding. Favorite Movie: I actually don’t watch movies. Number 1 on your Bucket List: Take my whole family on the Disney Cruise.